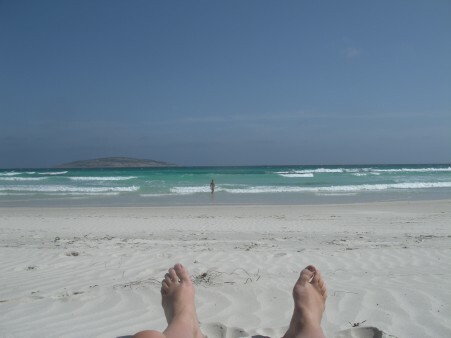 This was my view over the weekend in Esperance. Went down for my sister in law’s wedding, which was also on the beach. It was beautiful and we got to catch up with everyone and spend time with our adorable niece. The colour of the water was amazing…hopefully we will go back again soon. I didn’t get any writing done but now that school has gone back…yes, I took a very quiet minute to enjoy my empty house…I will now get back into the edits for Sarah’s Journey. Also have to start organising my launch details etc, so will have them up shortly. Those in WA who would get a copy of The Wagin Argus would have seen the big picture of the new book and details about the launch. I will be having a few launches, as well as booksignings in Perth, Busselton and maybe Margaret River on the week of the 14th March. Will keep you all in the loop.